Whether you were born and raised in Islam, or accepted Islam later in life, there will possibly be times where we will feel a disconnection between us and Allah. 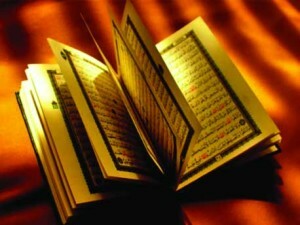 Allah gave us the Quran as divine instruction and wisdom that will never lead us astray. Allah gave it to us as a guide to never stray from Him. If we feel a disconnection between us and God, it is not because of Him, but usually due to lack of diligence in ourselves. We got lost somewhere because we stopped following the guidebook God gave us. If we stick to the guidance of Allah (holding onto the rope He gave us to save us), we will always have a close relationship with Him. It is when we forget that we have a rope there for us to use that we start to feel disconnected. Ihsan also encompasses observing good behavior, sincerity, kindness to all people, and do everything in excellence. So how can one actually acquire these traits and get closer to Allah? We should have strict observance to the obligatory (fard) actions, such as prayer (salat), paying the poor tax (zakat), fasting Ramadan (sawm), and pilgrimage to Makkah (Hajj). How can we expect to do the sunnahs and be rewarded for them, when the obligatory things are being neglected? Allah gives us a personal one-to-one appointment to talk with him five times daily. It’s something many neglect, called prayer! If you are at work and are facing a problem, you would request a meeting with your manager…right? Of course you would! Apply this analogy with Allah, because He has promised to answer those that supplicate to Him in prayer. Allah promises us in the Quran that He will be with us and guide us as long as we strive for Him. Have you ever seen someone at your job that is a slacker, and yet they got a promotion that you felt should have gone to another, or even yourself? If so, be careful, because this can be an indicator of arrogance, assuming that you deserve more than another. He may have accomplished a goal that you are unaware of. If you have a habit of thinking this way, it can indicate that you are losing trust in Allah and His infinite wisdom and mercy, whether you realize it or not. Sometimes He is merciful to us by not giving us certain things. It’s when we are facing a trouble-free life and getting everything that we want that we should actually be re-evaluating ourselves to make sure that we are not seeking the dunya instead of the hereafter. It may appear that others are having a great life filled with many good things, but it may be part of Allah’s plan for them to use up their rewards in this life (dunya) and not the hereafter (akhira). When would you rather have your rewards? Arrogance about our lives, possessions, talents, gifts, etc. can easily lead one to disguised evils. Always remember that anything and everything that we have are gifts from Allah, and everything we don’t have may be a blessing in disguise, and we just can’t understand it. Allah is the master of planners. Laura, an American new Muslim, expressed that she felt close to Allah when she accepted Islam, but explained that after a while, she felt she was just “going through the motions” and felt nothing. She felt she was a robot, and was yearning for that closeness to Allah again. She started out with sincerity in her prayers, but ultimately, she stopped praying because she felt that she was doing it without benefit, and felt Allah was not listening. We must maintain sincerity in everything we do, especially prayer. Acknowledge that prayer is the obligatory method ordered by Allah to worship Him. If we are praying for the sake of showing others that we pray, or praying and not paying attention to what we are saying in the prayer, then we are not putting sincerity in the prayer. How do you ensure your prayer is sincere? You have to make an intention (niyah) to clear your mind of pride, and try to be focused in your prayers. The trick to maintain the sincerity in your prayers is to pray as if it is your last prayer before death approaches you. We should pray all of our prayers as if it is our last anyway, because we never know if we will live to see the next prayer. Not only should we establish regular prayers, we should do extra prayers beyond what is obligatory (nawafil prayers or deeds). Allah tells us that those who do nawafilprayers will be able to do great things, and if we ask for something He will give it to us and protect us. Glorify Allah with dhikr after your prayers, and make dua’ (supplications) every time you want to talk. Allah will always listen when others won’t. Open your heart to Him, and glorify Him, and make istighfar (repentance) regularly. When you are in sujood (prostrating) in your prayers, let it all out! Cry if you feel the need to, and stay in that position as long as you need to. Allah listens to His believers in sujood, and He is ever most merciful. You will start to see a change in your life, and more closeness to Him. Strive to do all things with your fullest ability, so that you can feel certain that if you fail in something, or do not reach a goal, that it was by the qadar (divine will) of Allah that the events that unfold are not just because your lack of trying. Accepting the qadar of Allah is essential in growing a closer relationship with Him. When you put your trust in Allah, you can more easily accept the good and the bad that befalls you. He only wants what is best for His believers. Let go of any anxiety you have about a matter, and put your trust in Him. He tells us in 8:2 that our faith will be strengthened if we do. Imagine that! He not only tells us how to worship him, but He even tells us how to increase our faith! He is so merciful that we can’t even imagine His limits. By not communicating with Allah regularly, we are only harming ourselves. He is there for us all times of the day and night. He loves to hear us call out to Him, so stay on the path of righteousness and keep in touch. Don’t be a stranger! May Allah bestow upon you and me contentment and peace in our hearts and a strong bond between us and Him.